A heartfelt thank you goes out to our sixteen volunteer mentor-advisors who helped the Cambridge Rindge & Latin Science Olympiad Team members put their best effort into the statewide Science Olympiad Tournament on March 22nd. Kris Newton, CRLS physics teacher and coach of the team, appreciates that the “CSV mentors shared their time, resources and deep knowledge of specialized areas of science with our hard-working students. Our team would not have been as successful without this valuable partnership.” The volunteer advisors are scientists and engineers from the local corporate and academic communities. “My partners are seniors Samantha Mai and [co-captain] Amy Tung. In the picture I am measuring the dimensions of our device. For Mission Possible, we are to build a Rube Goldberg device, which is a machine that sets off a chain of events to accomplish a simple task, which is to light a lightbulb in this case. 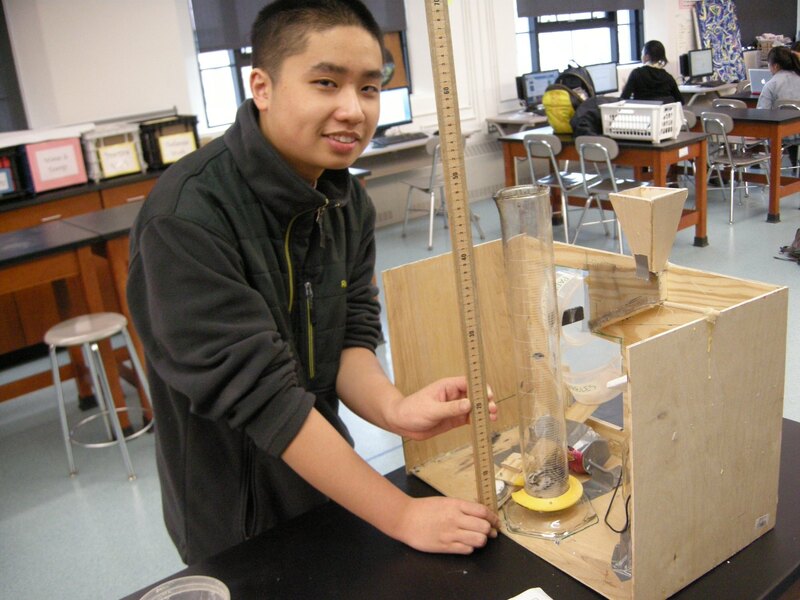 Eighteen students competed in 25 events in all areas of science and engineering. The CRLS team ranked in the top ten in seven events. One event where CRLS shined is the MagLev event. 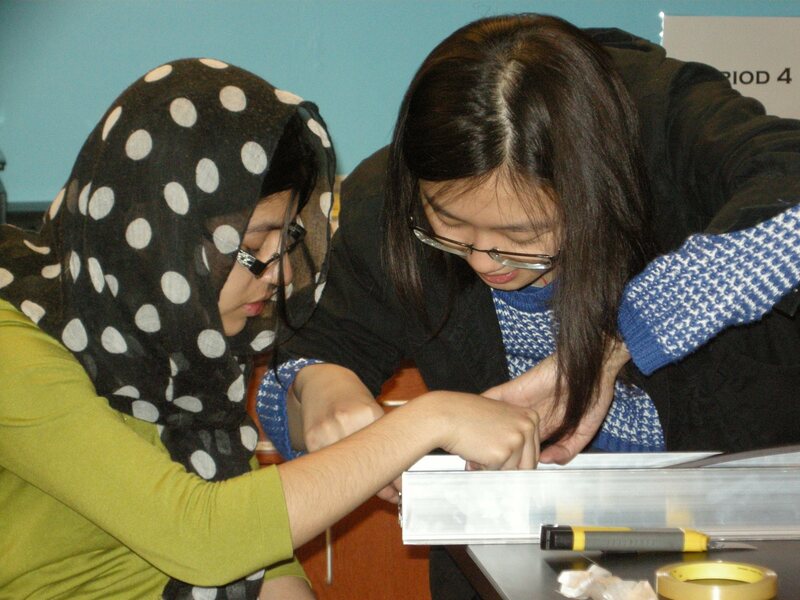 Below, we caught a photo of MagLev team-mates Yaxin Yu and Inez Khan preparing for the March 22nd Science Olympiad Event. Yu and Khan placed fourth in the state competition.